Don’t regret your next contract. 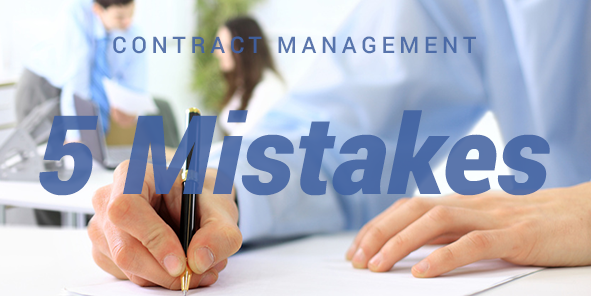 Avoid these common business contract mistakes. Business contracts are important, but they can troublesome. If you’ve dealt with contracts before you’ve probably had nightmares about reading through endless amounts of legal jargon or about that detail you forgot to include. In our time in business we’ve made our share of contract mistakes and we don’t think we’re alone. It seems there is always something that can be overlooked. A perfect contract might not exist, but we’re always striving to help people create the best contracts for their companies and clients while also being able to effectively deliver on the requirements of every contract. With that in mind, we’ve put together a list of common contract mistakes. Hopefully seeing these can help you with your next contract. If you haven’t worked on contracts with long timelines before then this mistake can manifest and you won’t realise it until it’s too late. Many contracts include payments such as half up front and half upon completion of the project. This is fine if the project is not very long. But if the contract is many months or years your cash flow can be challenged and it can even put you out of business. If your contracts are for more than one or two months it’s best to break down your payments into quarterly or even monthly payments. This way you can keep cash flowing into your business so you can continue to operate. If you confuse your clients with your contract it can lead to bad feelings and a bad reputation for you. Your goal is to make your clients happy and one way to do that is to make sure they fully understand everything in the contract. Use simple language whenever you can and leave the legal language for only necessary situations. Keep it simple, but detailed. This way there is full disclosure on what the contract says and what each party is committing to the project. One simple area that can easily be overlooked is available work hours and holidays. If you’re going to have regular calls or email conversations with your client you’ll want to set hours that you’re available and hours that you’re not available. This way your client knows ahead of time that if they have a question or issue on a holiday that you won’t be available. Setting this guideline ahead of time sets the proper expectations and you can exceed those expectations if you wish if something does happen during off-hours. This is a big one. Before you sign the final contract you always want to make sure that you and the other party are on the same page with every detail. Cover everything that your client wants from the relationship and everything you can provide in the contract. Be specific with the details. If you’re going to deliver a website, include the detail that it will be a 12-page website and list out the specific pages. Also list that the client will need to provide the content for each page by a specific date or there will be specified additional days added to the timeline. There is also the issue of “Scope Creep”. Your client might not know everything they want in the contract when they sign. They discover as the project moves along and they may try to get you to add the new elements. Include details for amendments in the contract for scope creep. It happens often so prepare for it by laying out the process for adding items to the contract from the beginning. These are some of the contract mistakes we’ve seen. And to be honest, some of these are mistakes we’ve made ourselves. Hopefully this post can help you setup your next contract so that your company and client both benefit. And we also want you to be able to manage your end of the contract too. That’s why we created the Simplessus Contract Management Software. * What is 2 - 0 ?